Singapore is clean. It is very clean. Chewing Gum is illegal. Stores don’t even sell the vile substance. You’re not allowed to talk about politics in groups of three or more. You are forbidden to walk around your own house naked (its considered pornographic). If you fail to flush the toilet, you get fined. If you are convicted of littering three times, you will have to clean the streets on Sundays with a bib on saying, “I am a litterer” and apparently it is illegal to pee in an elevator. Ok, you get it. There are rules. Lots of rules. Which is a reason why it is so clean and organized. Everything that Thailand is not. It was an amazing change from the chaos that Thailand is. Buses aren’t late. Drivers obey the laws of the road. People don’t cut in line. My first taste of Singapore was Orchard street. I had some dinner and gaped in awe at the massive amounts of stores and shops and other fashion conglomerates. We took a ride up to a roof top bar and just took in the city before us. What a perfect first view of Singapore! I didn’t care that I was exhausted from traveling or that my feet were killing me. I wanted to stand and just absorb the sights and feel the vibe that Singapore resonated. Later, we grabbed a beer at the Esplanade, where the twin “durian” performing arts centers are located, and I witnessed the most beautiful skyline of downtown from the riverbanks. I’m pretty sure I walked 15 miles the next day. The only other time I’ve walked that much was when I took a seven hour walking tour of Boston, a city I absolutely adore, with my friend Joey. Our first stop was Chinatown. Nothing too entirely special, but I believe its necessary to check out every city’s Chinatown just in case someone thought of something different (come to think about it I have never been to Los Angeles’ Chinatown, definitely on the list for when I go home!). We had a few deserts. I tried Walnut Paste, surprisingly tasty, and we topped it off with a Chendol Snowy Ice that was mouth-watering. We then jumped on the MRT to have lunch in Little India. We actually ate at a Nepalese place, but the food was absolutely delicious! 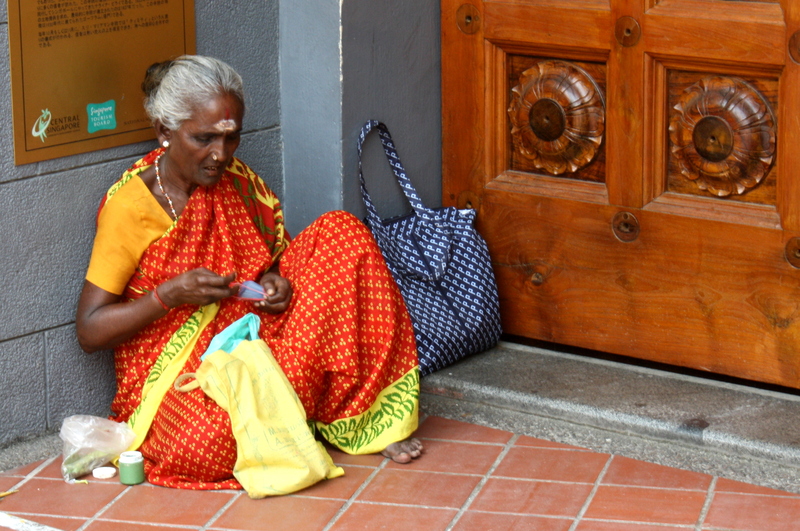 It was fun walking around Little India as well, peeking into the fabric, clothing and knick knacks shops. 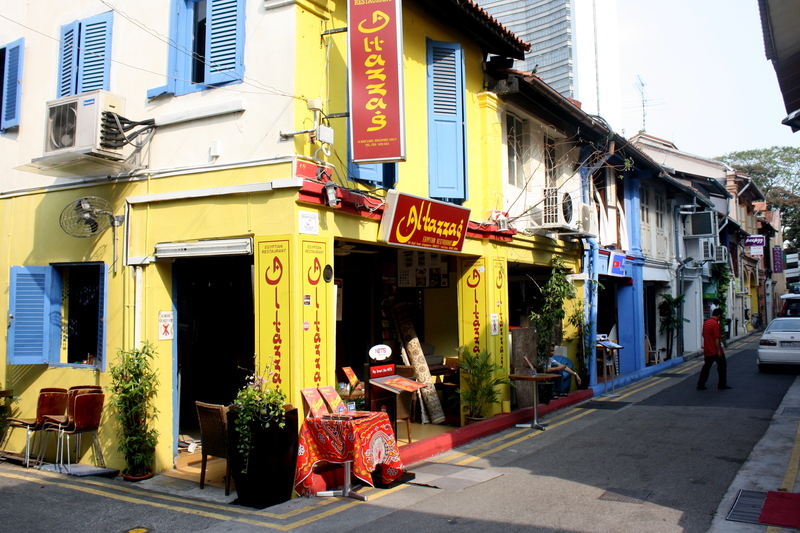 We also moved to Arab street, which I hear is more happening at night, but still nonetheless exciting and new to me. Hooka pipes were being cleaned in the alleyways and suits were being made. The Malay Neighborhood was next and we ambled down the narrow streets checking out clothing stores and taking in the atmosphere. The Asian Civilizations Museum had a new exhibit: Treasury of the World: Jewelled Arts of India in the Age of the Mughals. The rest of the museum was exceptional, but the exhibits were way too familiar as I had already been to the Islamic Arts Museum and the National Museum in Thailand. The Treasury of the World exhibit was extremely interesting. There were knives, swords, and crowns that had been bedazzled back before bedazzling was even a word. The day of walking came to an end with dinner at a hawker center on the river, where people watching was at its finest. 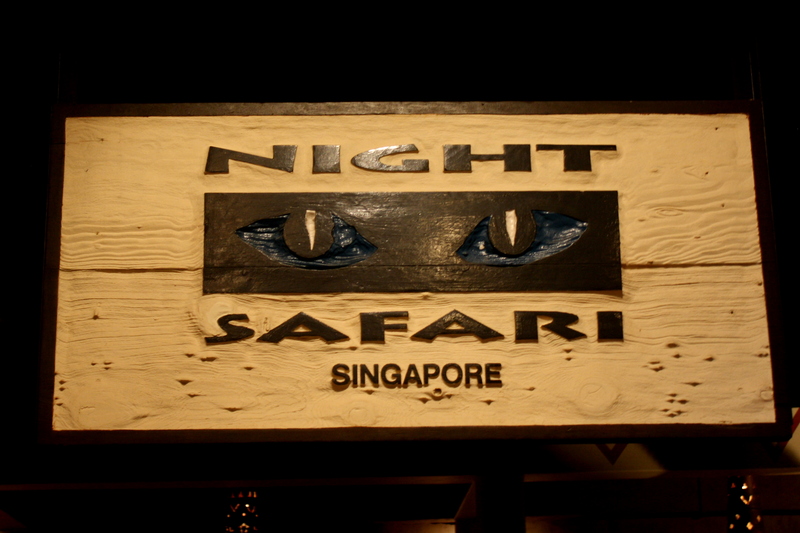 On the agenda for the next day was Singapore’s tiny island, Sentosa, and the one and only Night Safari. 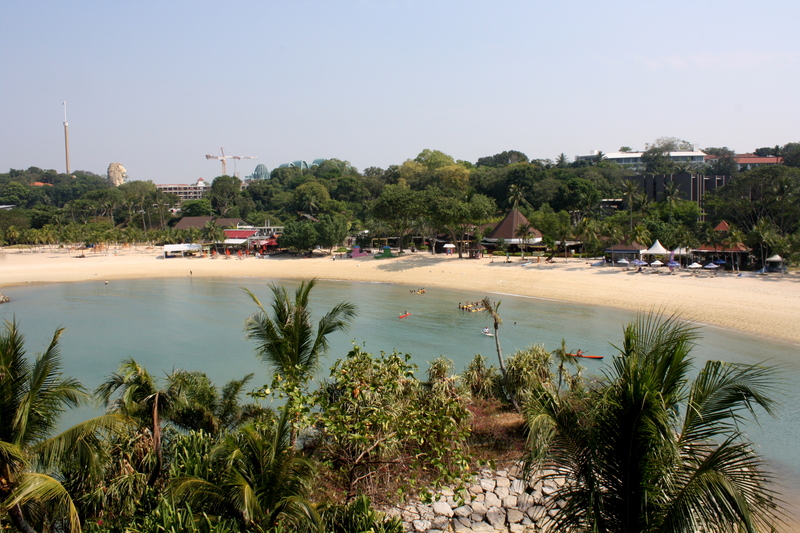 Because I have been to the unbelievable beaches in Thailand, Sentosa really wasn’t anything too special. The most exciting part was that I got to go to the Southernmost part of Continental Asia, a small island connected to Sentosa by a wooden swinging bridge. I relaxed a bit on the beaches and then headed to Little India to meet up with a few couchsurfers for lunch. The absolute highlight of my trip to Singapore was the Night Safari. To say I love animals is an understatement and to see them active during the night was super exciting although I was disappointed that I wasn’t able to take pictures because flash is of course not allowed. I jumped on the tram and took it to the first stop after seeing rhinos chomping on grass, male lions relaxing while the females “hunted”, and hippos chilling in mud. I then entered the flying squirrel cage and had one fly right above me! It was one of the most amazing sights! I never knew they were that big. I then scooted right over the bat cage and was surrounded by bats the size of small dogs! I had to get out of there quickly! After seeing two humungous leopards (sadly in a cage that looked a bit too small for their size), adorable porcupines, and hyenas on the prowl, I jumped back onto the tram and rode it back through the first part again, which I’m so glad I was because some of the animals had moved into better viewing positions, and then continued on through the end of the safari. I saw giraffes, zebras, elephants, tigers, and probably ten different kinds of deer. It was so incredibly fun and I didn’t want to leave, but unfortunately the buses and MRT have to stop running sometime and I didn’t want to be stranded! All in all, I really liked Singapore. I’m glad I had only a few days there and not a few weeks, because I think I would have ran out of places to see. It seemed like a fun place to live, although talking to my couchsurfing friends who were fellow teachers, I found that their school requirements were much more restrictive and limiting than mine (they had to be at work at 6:30, stay till 3, and then sometimes work weekends coaching the soccer team or guiding the model building club). Like I said, it was extremely clean, and that was a big jump for me from where I’ve been and where I’m going! My girlfriend and I will be in Singapore soon. Guess I better change my plans! It’s great to read about your adventures, your site is really whetting my appetite for some of my own. 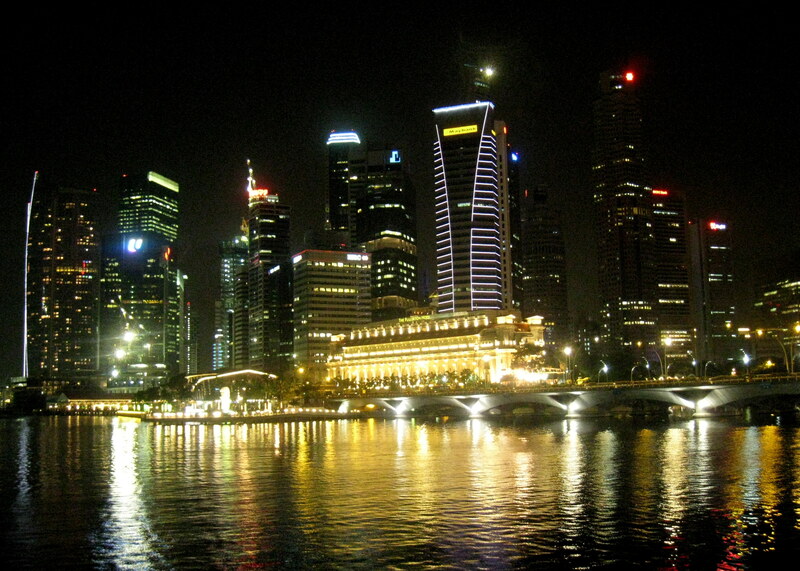 I was in Singapore a few months ago, and adored it greatly. I miss the cleanliness. too bad you haven’t catch the Universal Studios Singapore, which opened on the 18th of this month. Hey can I use some of the information from this blog if I provide a link back to your site?